KCRW and public radio network NPR have launched an exclusive online collaboration, UpClose. 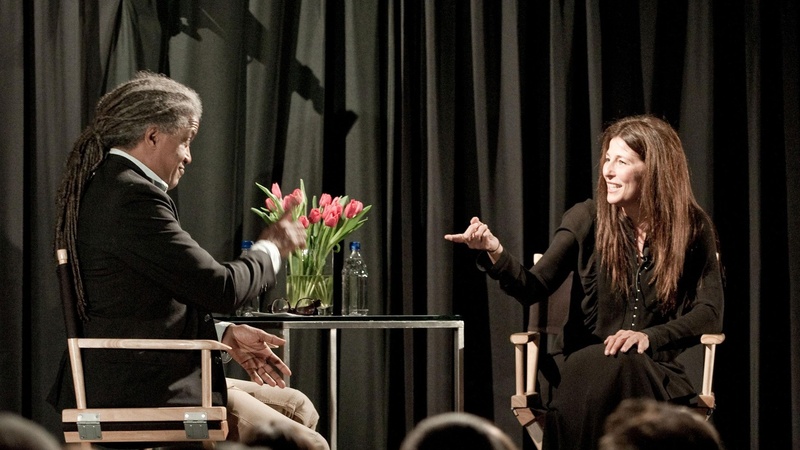 In the first of many conversations with some of the leading figures in popular culture, Elvis Mitchell and indie-favorite actress Catherine Keener engaged in an open-ended and unscripted conversation about her career. Mitchell notes that he's a big fan of Keener's "insinuating and expressive laugh." The conversation ranged from Keener's first-day nervousness on any movie set (including her nervousness at the beginning of her conversation with Elvis), her reaction to a phone conversation she was to supposed to have with George Clooney – who wasn't available to be at the other end of the line when cameras rolled; her mother's approval of her role as a mother who murders and tortures her own children; her childhood in the "Wild West" of Hialeah, Florida, where horses roamed the streets; her job as a personal assistant to a Hollywood casting agent, who encouraged the acting talent in Keener that she herself didn't know she could bring forth; and how some of the best acting occurs off camera, while working with another actor on whom the camera is focused...and much more.